For eighteen years, Venathryn has been afflicted with the dreamplague. Slowly it has been festering in her mind, wreaking irrevocable damage to her in a place of supposed reverie. Finally having enough, her family employs the services of Maravek, the dreamwalker. Together, the two elves will find what horrors haunt Venathryn’s dreams, and they will discover just how reliable our dreams are when they are plagued by guilt and regret. Purchase now on Amazon, or sign up for the Tellest newsletter to get this book for free. 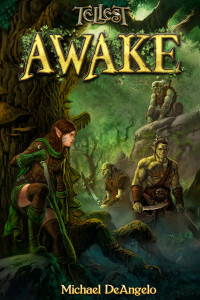 With several elves of Aven’adiel safe behind him, Maravek, the dreamwalker, looks forward. Together with his new companion, Vandelas, he journeys to the immense city of Versali-Virai, where word of a new nightmare has reached his ears. Citizens are suffering from horrible dreams, and some have been demonstrating violent tendencies when they wake. 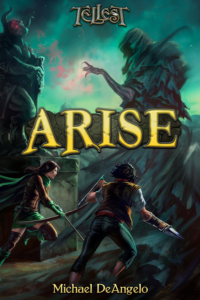 Maravek’s quest is made more difficult by the investigation of vigilante named Faradorn, who has his own idea of who is responsible for the ill occurrences in the city.